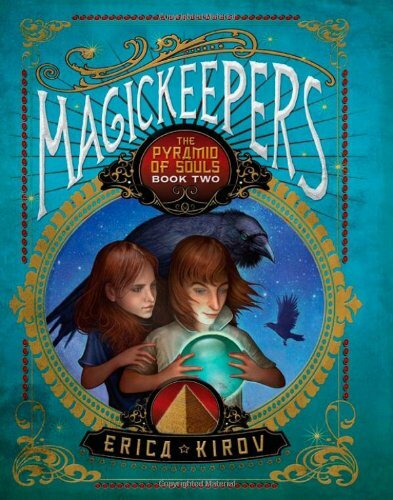 Just like book one in the Magickeepers series, book two, Magickeepers: The Pyramid of Souls, manages to capture readers right from the gold embossed, razzle-dazzle cover. And, just like in the first book of the series, book two maintained the alluring super-natural power that the Magickeepers beholds. If you missed book one, I recommend starting from the beginning; however, you could certainly pick up the series with book 2 and not skip a beat. After uprooting and moving to the Las Vegas Winter Palace where the world-famous Damian puts on the greatest magic show on earth, Nick, a teenage boy, is beginning to adjust to his new and completely different lifestyle—that is until the Pyramid of Souls, the most closely guarded secret in the magician community, is stolen. Then his life, once again, becomes a jumbled mix of magic, danger, self-doubt, destiny, and an added touch of dive-bombing ravens. Using a modern city like Las Vegas as the setting for the book, and tossing in some pizza and skateboarding, Erica Kirov has very intelligently created a base in which she can grasp her middle school audience and still manage to keep them engaged when she blends in historilcal figures; such as, Alexander the Great, Edgar Allen Poe, and P.T. Barnum. Selecting Las Vegas as the backdrop makes for a very believable read. About the Author: Erica Kirov is an American writer of Russian descent. Though she is not from a family of magicians, she is from a proud family of Russians, and she grew up hearing stories of their lives there. Erica lives in Virginia with her husband, four children, three dogs, parrot, her son’s snake (she really hates snakes), and a pet hedgehog. She is busy at work on the next Magickeepers novel.She also writes on http://teenfictioncafe.blogspot.com as well as her parenting blog, http://demonbabyandme.blogspot.com/.